Victory to Lord Krishna, Gopala. Victory to the Lord of the cowherders and the Lord of Radha. Victory to Lord Krishna, who wears garlands offered by the Gopis (devotees) and who is the Indweller in the heart of Mira (devotee). Victory to the enchanting Flute-Player, Lord Krishna. 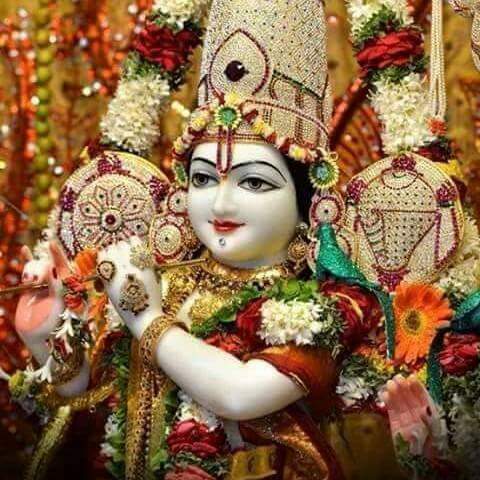 Victory to Thee, O Lord Krishna.